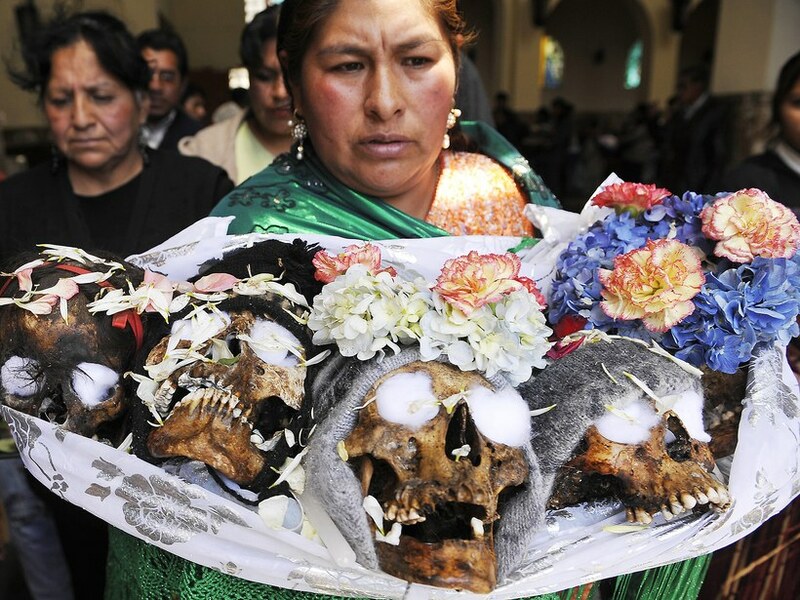 Field trip to Bolivia for Day of the Skulls (Dia de los Ñatitas), coca leaf and witchcraft markets, Pre-Columbian mummies and ruins, Cholita wrestling, and much more! 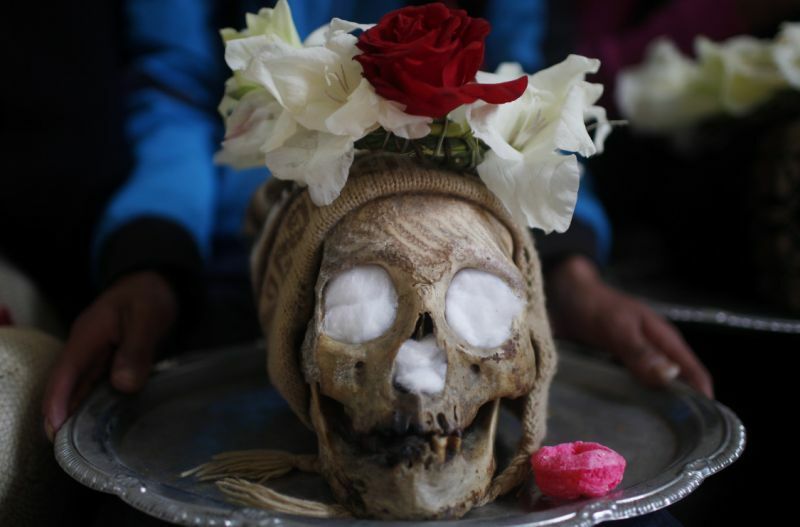 This November, join Morbid Anatomy for a very special seven day trip to La Paz, Bolivia where, with a local professioanl guide, we'll explore the country's fascinating history, folklore, and death-related traditions, a unique blend of ancient native beliefs and Spanish Catholicism. We'll also learn the storied history of--and have ample opportunities to sample--the coca leaf, sacred plant of the Andes. 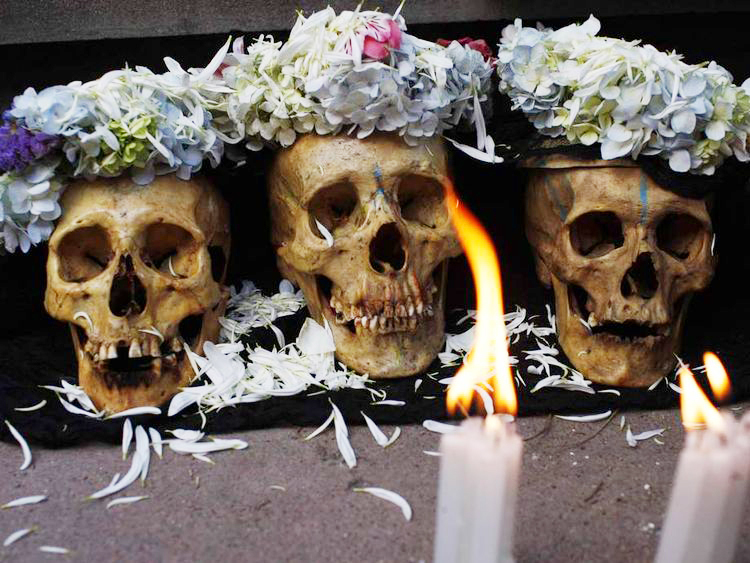 We'll visit La Paz's central cemetery for Day of the Skulls (Dia de los Ñatitas), in which human skulls are given offerings of coca leaves, cigarettes and flower petals; the El Alto Shaman's market and the famed witchcraft market with shops selling dried llama fetuses to bless new constructions, magical charms, and colorful figurines of devils and skeleton saints; and the coca leaf market. Other highlights will include visits to La Paz's Museo de la Coca, the pre-Columbian ruins of Tiwanaku and the tropical Afro Bolivian town of Coroico, a visit to a studio that produces costumes and masks for La Paz's famed festivals, Cholita wrestling, a wildlife preserve, the surreal landscape of Valle de la Luna, gorgeous colonial churches and convents, and museums packed with astounding treasures. There will also be opportunities to eat native foods, explore markets, and learn the ancient Andean art of coca leaf consumption and its history as a sacred plant. Along the way, we'll learn from our knowledgeable tour guide about the folklore and beliefs of this unique culture, past and present.